CryptoLux provides no actual information on their website about who owns or runs the company. As is typical of MLM crypto opportunities, a stock image of some guy is used to represent “Robert Alexander”, who CryptoLux claim is CEO and Founder of the company. FXTM Capital appears to be a collapsed Ponzi scheme touting a 100% monthly ROI. 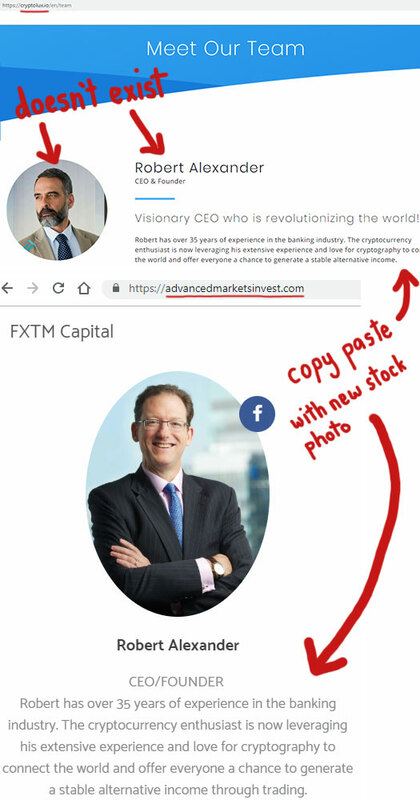 It should be obvious that whoever is behind FXTM Capital is also behind CryptoLux. The CryptoLux website domain (“cryptolux.io”) was privately registered on November 28th, 2017. In an effort to feign legitimacy, CryptoLux provides a UK incorporation link on their website for “CryptoLux LTD”. CryptoLux has no retailable products or services, with affiliates only able to market CryptoLux affiliate membership itself. CryptoLux affiliates invest $10 or more worth of cryptocurrency on the promise of a 150% ROI. Investment within CryptoLux is tracked in CLX points, which are not publicly tradeable. CryptoLux pays residual commissions via a unilevel compensation structure. CryptoLux cap payable unilevel team levels at ten. Starting from the Silver rank, CryptoLux pays affiliates a one-time bonus for rank qualification. Full participation in the MLM opportunity however requires a minimum $10 investment in cryptocurrency. 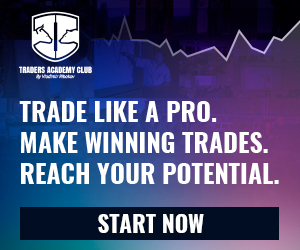 FXTM Capital is a failed forex trading Ponzi scheme. CryptoLux is basically the same thing, only this time around the ruse is cryptocurrency trading. CryptoLux claims it generates external ROI revenue through “AI based crypto-trading systems”. Naturally the company provides no evidence of any such systems existing. Nor is there any evidence of any other external ROI revenue provided. In true Ponzi fashion, what this means is CryptoLux will continue to pay ROIs until newly invested funds dry up. Recruitment commissions add an additional pyramid layer the scheme. As with all such scams, a decline in affiliate recruitment corresponds to a decline in new investment. This will see CryptoLux collapse, resulting in the majority of affiliates losing money. The use of cryptocurrency to invest and CLX points as a vehicle to exit-scam through, guarantees that CryptoLux victim recovery efforts will be minimal.